While most people would troop to cemeteries to commemorate a death of a loved one, me and my mom prefer staying home on Nov. 1 and 2. The last time I was inside a graveyard was after my father died. After the customary 40 days, we went back to visit my Dad and uttered prayers for him. But for the life of me, I never went back. I prefer praying for his soul and our dear departed loved ones quietly at home, sometimes lighting a single candle at night. 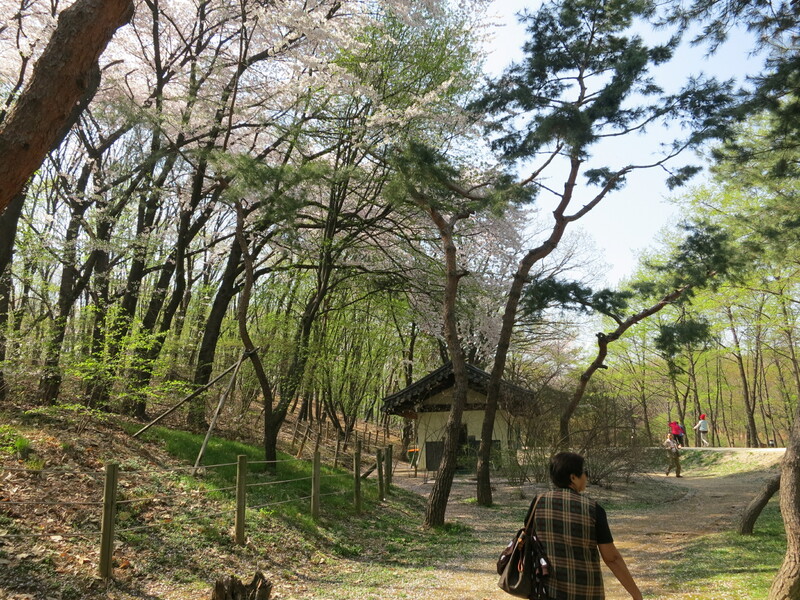 This All Soul’s Day is a perfect opportunity for me then to recall the time my mom and I visited a tomb in Seoul three years ago. 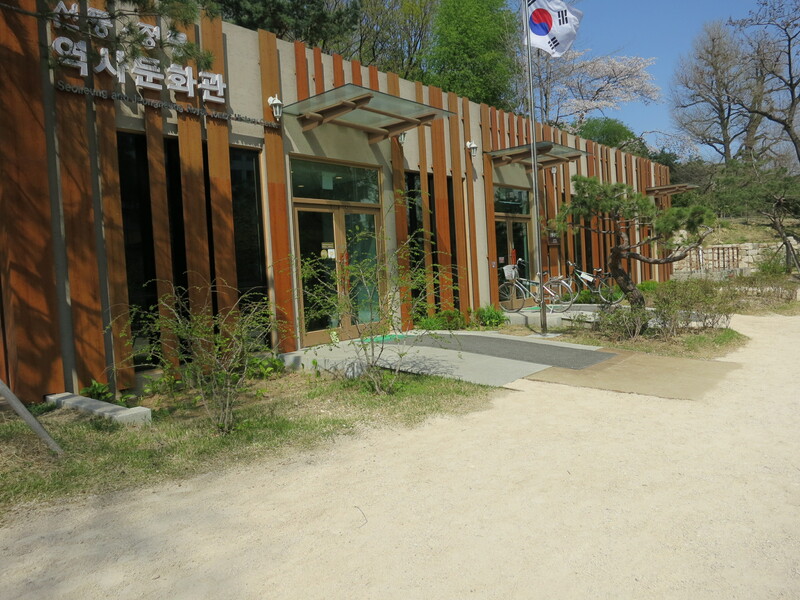 My mom wanted to rest and I was out looking for a park near Seolleung Station when I spotted the entrance to the Seolleung and Jeongneung Royal Tombs. It was a long walk. I was worried about my mom, so I told her to just stay put in one of the benches in the vast park while I go around and take pics of the place. I don’t want to drain her energy because we’re going shopping in Namdaemun later that evening. So while she was resting, I mustered the courage to come near the tombs even if the place was silently eerie to me. But the park itself was really nice. I like walking along the path surrounded by lush green trees. The cold spring air made walking bearable. 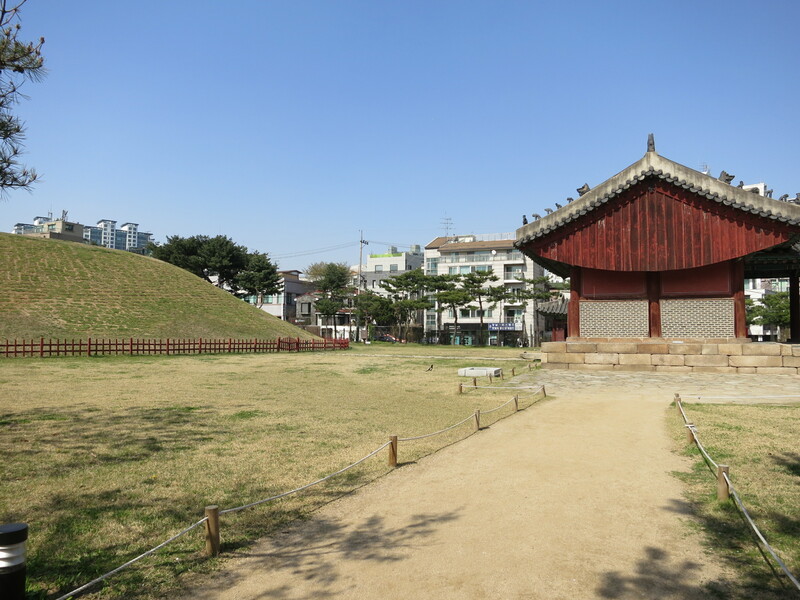 Seolleung is actually the location of the Royal Tomb of King Seongjong and Queen Jeonghyeon, while Jeongneung is the single tomb of King Jungjong. 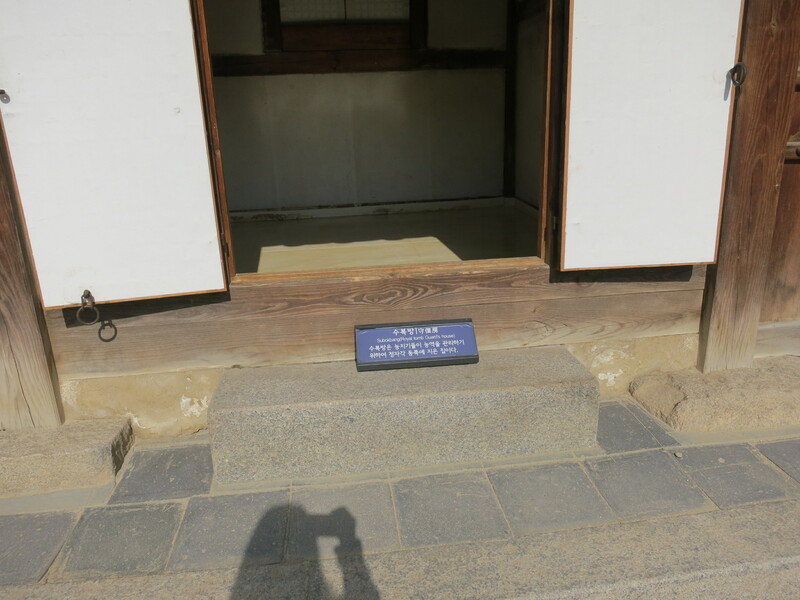 We first checked out Jeongneung located far from the entrance and the tomb keepers’ house. We were careful to get in as we had to observe some protocol. 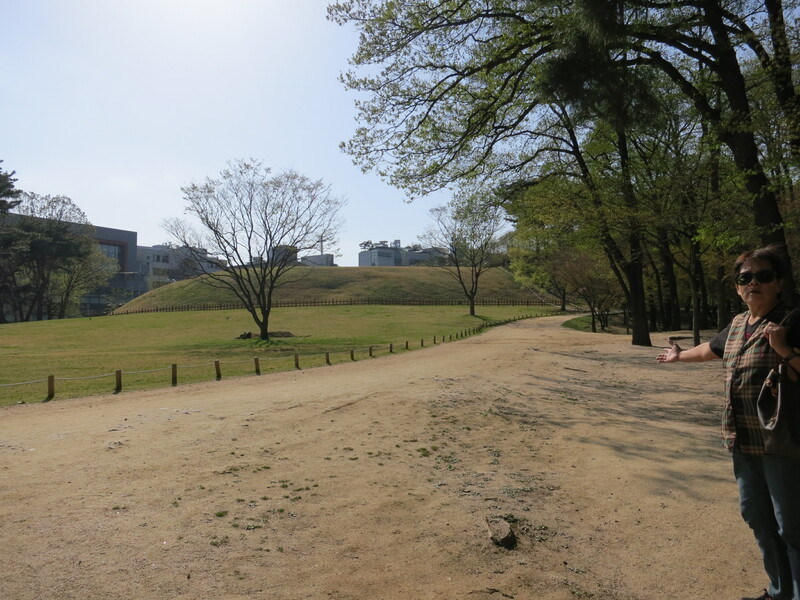 It was a quiet but sunny atmosphere, and though my mom is already tired from walking, she walked some more, intrigued at the unique layout of the dome-shaped tombs she’s only familiar with when watching Korean historical dramas. 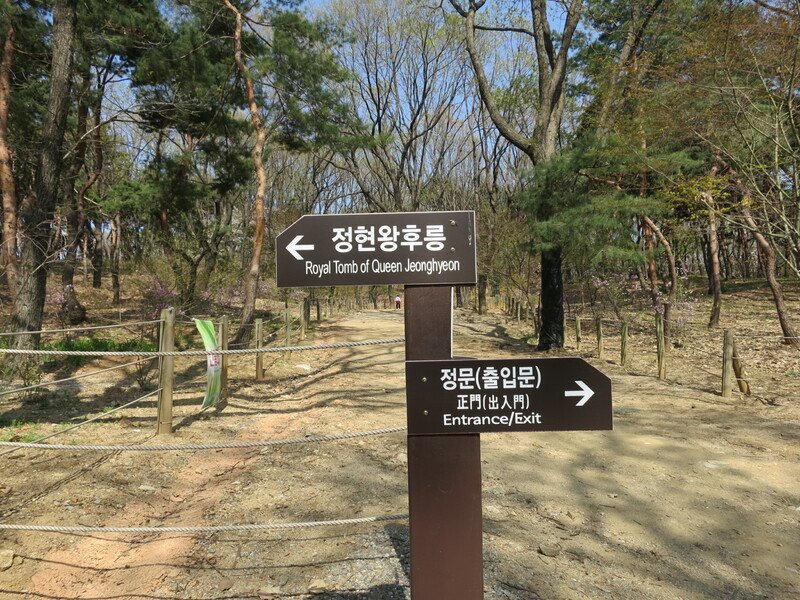 Based on the visitor’s map handed to us, King Jungjong is the 11th ruler during the Joseon Dynasty. He ruled two years after King Seongjong. He succeeded the throne after his elder half-brother King Yeongsangun was dethroned after a coup. His rule was marked with strife as he was known for having a weak power base and failed to carry out reform supporting Neo-Confucian literati as his attempts only led to confusion. A top confidant of his pursued radical policies and marred his reform policies. 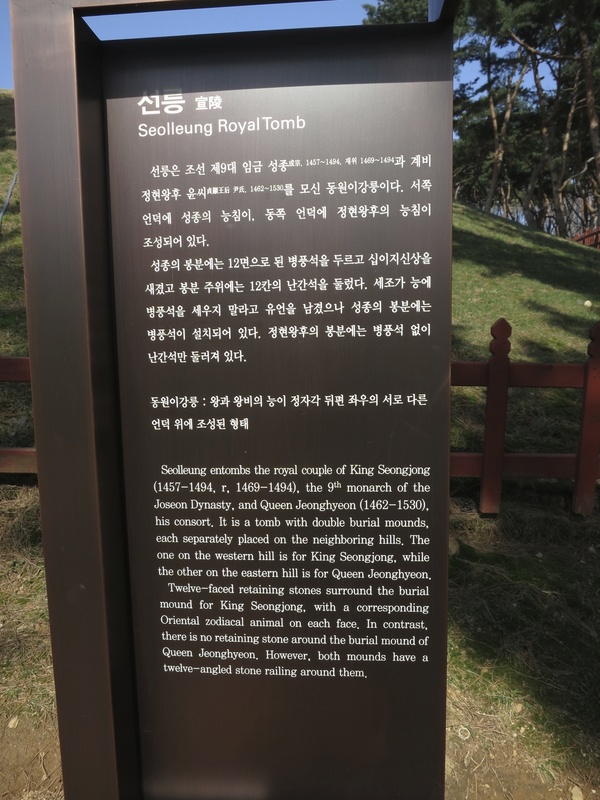 King Seongjong, the 9th ruler, in contrast was known as a lover of scriptures and poetry. He wasn’t educated for kingship but he made every effort to study hard and wouldn’t miss royal lectures on Classical Canon and policy discussions. His academic efforts resulted in several accomplishments of his such as the promulgation of the Grand Code of State Administration, installation of the Special Counselors Office, and the engagement of the Neo-Confucian literati. “He was a…romantic ruler who liked poetry and hunting and delighted in elegant pursuits,”was stated in the brochure map. 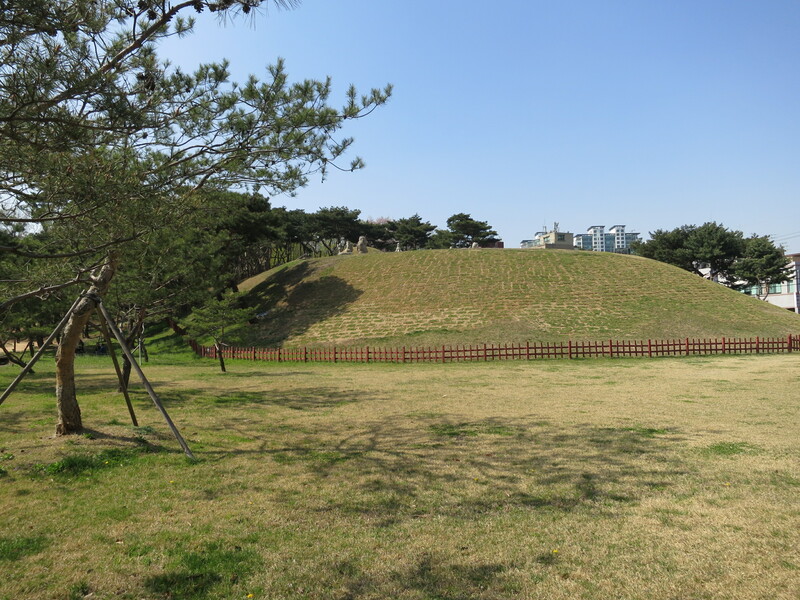 His burial mound is located on the opposite side of the park, about a 10-15 minute walk from Jeongneung. 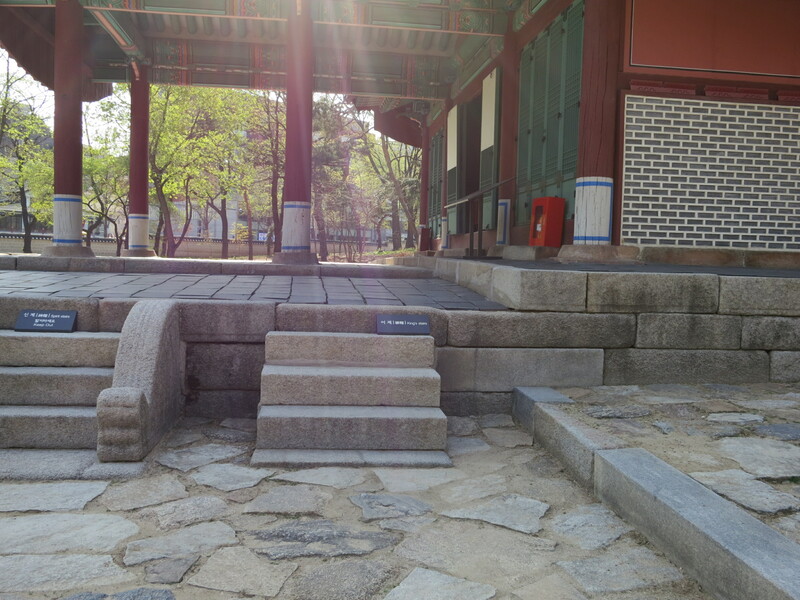 King Seongjong is buried near his second consort, Queen Jeonghyeon. I let my mom rest for a while at the bench nearby while I went up to get a glimpse of the Queen’s tomb. 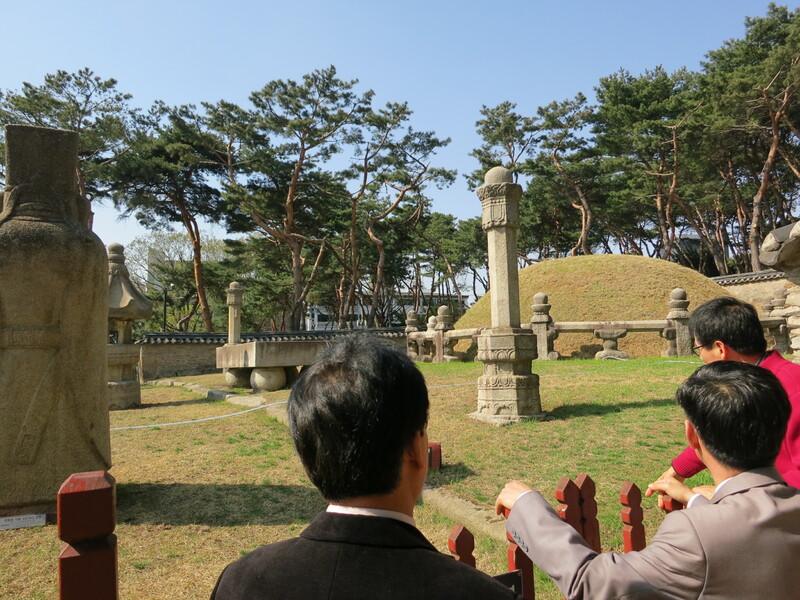 As with the other royal tombs scattered around South Korea, Seolleong and Jeongneong were designated a UNESCO World Heritage Site precisely because it was superbly preserved in their original condition as it was since built a hundred years ago. 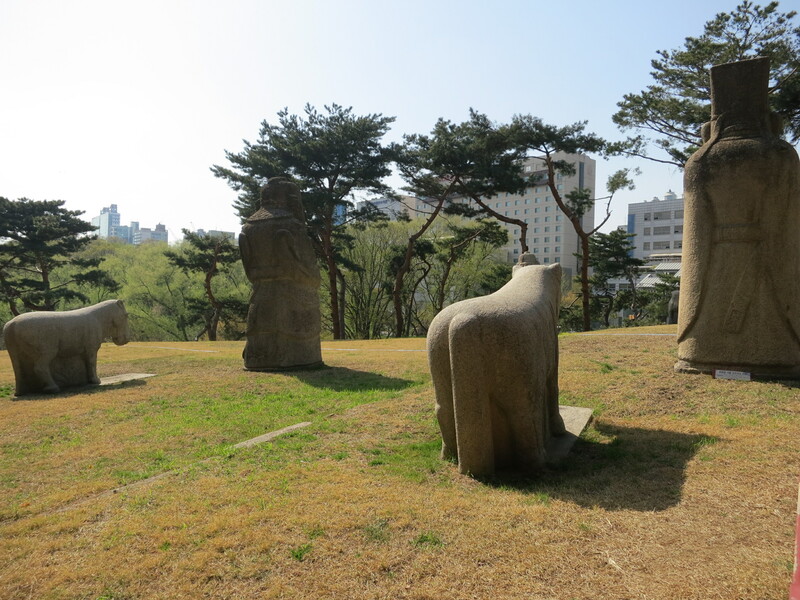 Joseon royal tombs are also highly regarded as a tangible heritage of reflecting the Korean people’s values drawn from Confucian ideology and feng shui tradition. Why weird? The stairs were replete with warning signs telling visitors the area is off-limits because its a spirit walkway. 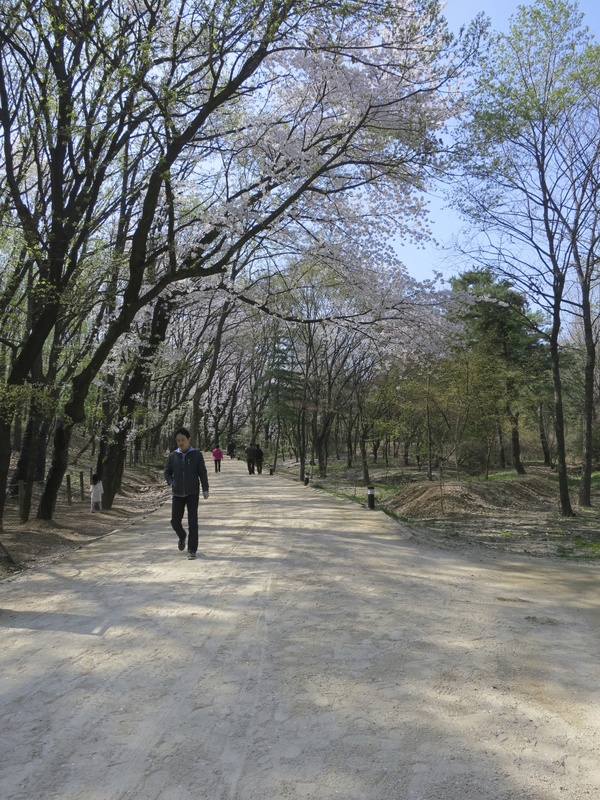 Later on, I realized that the path towards the burial area is a ceremonial area which features a worship road and a spirit road. That must have been the reason we feel a bit uneasy. The place is unusually quiet as if there were unseen spirits waiting for us to step past the red line. I felt the hairs on the back of my neck prickle. 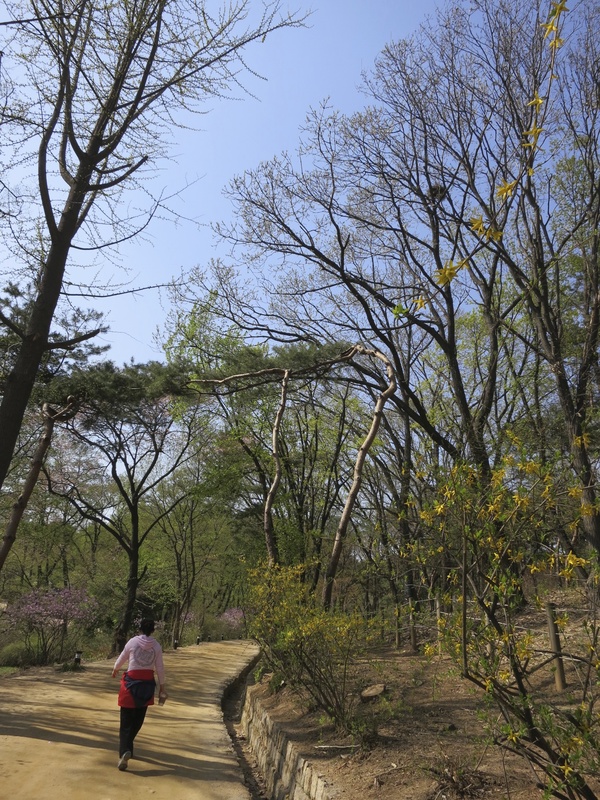 The only recourse we had was to avoid walking near the area so as not to ‘disturb any spirit’ and also, in respect to Korean tradition. We walked back past the Forbidden Stream bridge, and towards the entrance gate. It was already getting a bit late and we didn’t want to stay much longer even though the place is inviting and lovely. I just don’t think spending the evening at a graveyard suits me. Anybody can make their own version of the Korean bibimbap but I think its best done and served in a dolsot, the stone pot cookware typically used in Korean cuisine. I waited to own one. Now, it’s part of my personal collection of home cookware. This is actually a trade-off from a colleague who wanted my… Continue reading Pinoy Bibimbap, anyone?